Rick is a business development and operations executive with two decades of leadership experience in the IT staffing and consulting industries. His ability to deliver unprecedented results earned him senior executive roles within a multi-billion dollar organization. He has also served on the board of directors for multiple organizations. Throughout his career, he has been responsible for IT and professional staffing divisions generating over $125 million dollars of revenue. 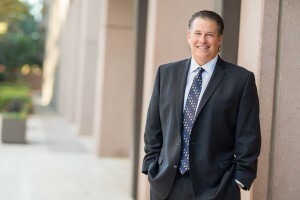 With strengths in developing talent, building successful relationships and executing exceptionally for his clients, Rick has proven his ability to deliver. His commitment to integrity along with his philosophy of always “doing the right thing” enables him to continually achieve success in all aspects of his life. Andra has 12 years of recruiting experience, the large majority of her experience within the staffing industry. She founded Zwick + Associates in Oklahoma City after spending eight years in the staffing industry in Dallas, Texas. Throughout her recruiting career, she has focused heavily on recruiting for accounting, finance, tax, audit, IT and other technical oriented positions. 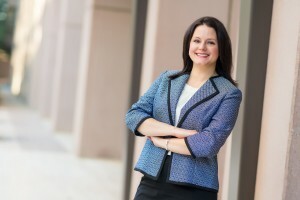 Andra prides herself on making connections with her candidates and clients while focusing on their true needs. She is committed to making the right match not only for her clients, but also for her candidates. She acts as a consultant in order to meet the needs of her clients. Her strength is filling niche, specialized positions in a short period of time. Andra holds the CPC and CTS, NAPS certifications. In January of 2016, Zwick + Associates merged with Z-Tech Solutions. Z-Tech Solutions is a Dallas based search firm focused on nationwide recruiting in the areas of IT, Accounting, Finance, Sales/Marketing, and HR. The firm also handles specialized searches in various industries including manufacturing, healthcare, technology and oil and gas. Andra is Co-Founder and Co-Managing Partner of Z-Tech Solutions. She manages the recruiting staff in the Oklahoma City branch and also handles executive level search.